Last night the 25th Amnesty International UK Media Awards took place in Central London, a prestigious celebration of human rights reporting and the acknowledgement of significant journalistic efforts in raising the UK public’s awareness and understanding of human rights issues. The ceremony was hosted by Channel 4 News’ Foreign Correspondent Jonathan Rugman, who stepped in at the last minute after BBC presenter Emily Maitlis was sent to Havana to cover the death of former Cuban leader Fidel Castro. Amnesty International UK awarded winners across a huge range of categories, including Documentaries, Multimedia, Radio, and TV News. Amongst those that won were Oliver Holmes and Tom Phillips at the Guardian who won Gold in the News category for 'Gui Minhai: The Strange Disappearance Of A Publisher Who Riled China’s Elite’, Channel 4 who won Gold in the TV News category for 'Inside Aleppo: three brothers at al-Quds hospital’, and Assassin Films for BBC Storyville, who won Gold in Documentaries category for 'India’s Daughter (Leslee Udwin)’. It was therefore with great pride that the Guardian and The Mill were awarded Gold in the Multimedia category for 'The Guardian: 6 x 9: A Virtual Experience of Solitary Confinement’. 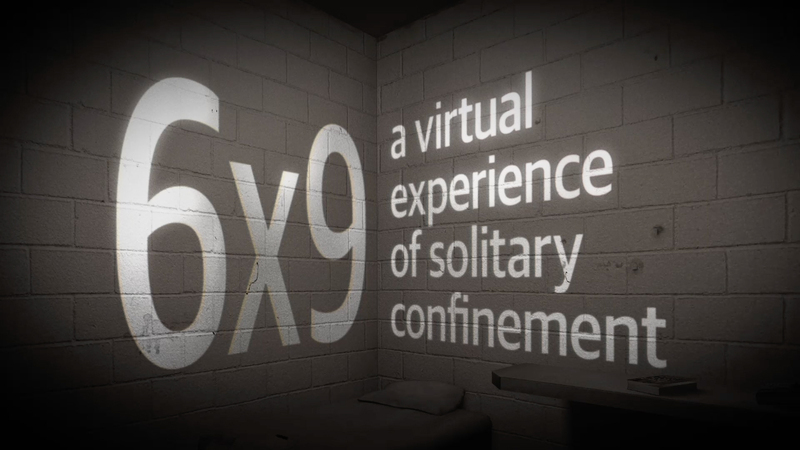 The seven minute VR experience encourages such psychological effects as blurred vision, hallucinations and a sense of floating that may occur after long-term sensory deprivation, with the intention of raising awareness and generating discussion around the prevalence of extended solitary confinement. The Mill would like to take this opportunity to extend our well-wishes to all those nominated and all those who won and to further commend them and Amnesty International UK for their work to protect and fight for the rights of those men, women, and children across the globe who have them denied.